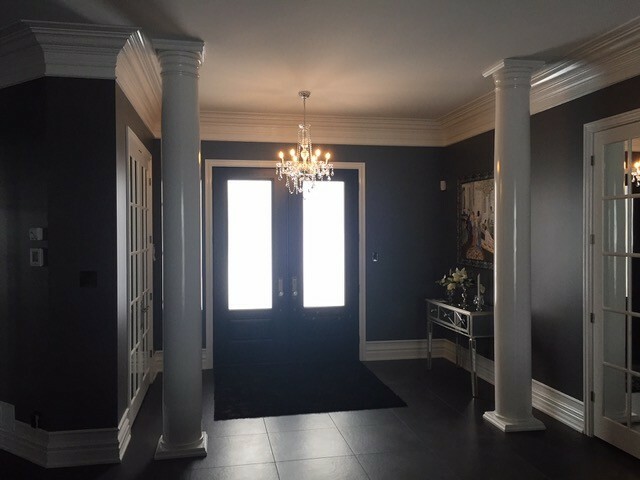 8” Round, Wood, Colonial, Smooth Tapered Column. The shaft is 7 ½” in diameter made from paint grade, FJ pine. The raw MDF cap and base have a footprint of 10" square. 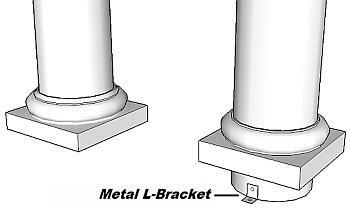 We include the base and capitol that are about 2 ½" thick (5" in total) and the column shaft sits in between. 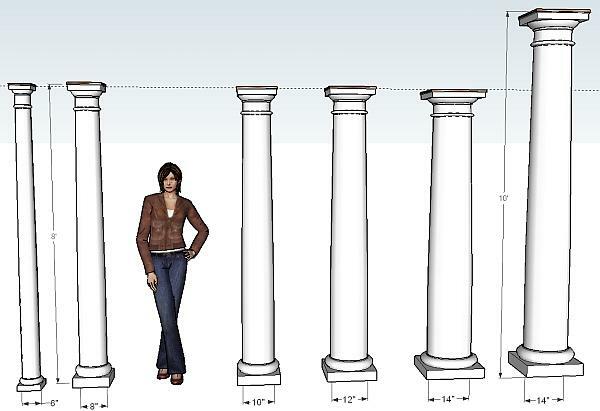 This Column is not recommended for exterior applications. 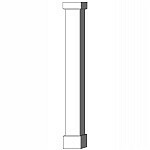 As an option, this column may be split, and / or fluted. 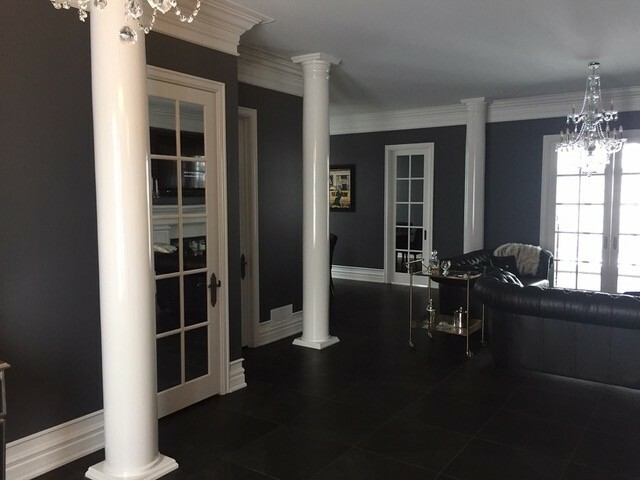 8” Round, Wood, Colonial, Smooth Tapered Column. 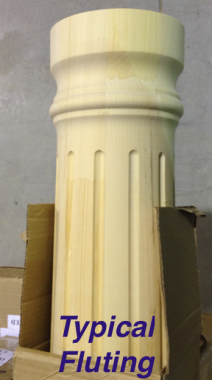 The shaft is 7 ½” in diameter made from paint grade, FJ pine. We include the MDF capital and base which has a footprint of 10" square. 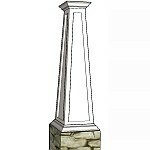 We include the base and capitol that are about 2 ½" thick (about 5" in total) and the column shaft sits in between. This Column is not recommended for exterior applications. 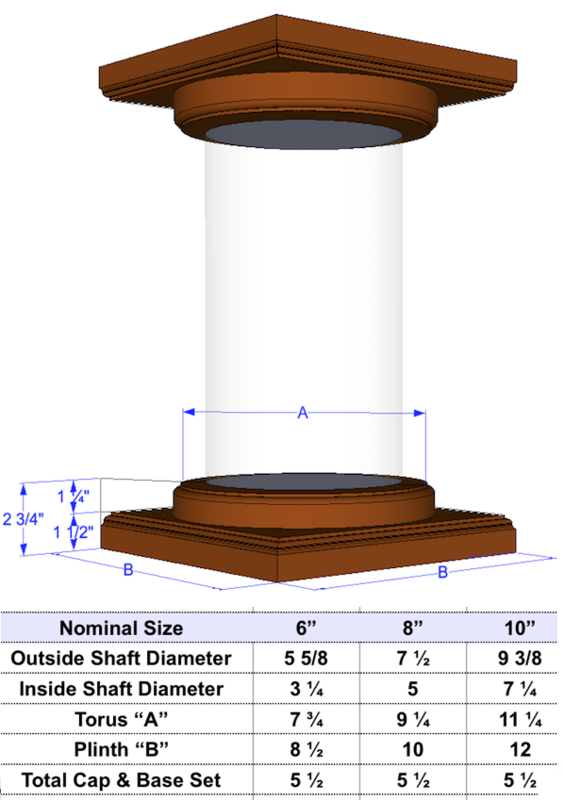 This column can accommodate up to a 5" diameter post or support. 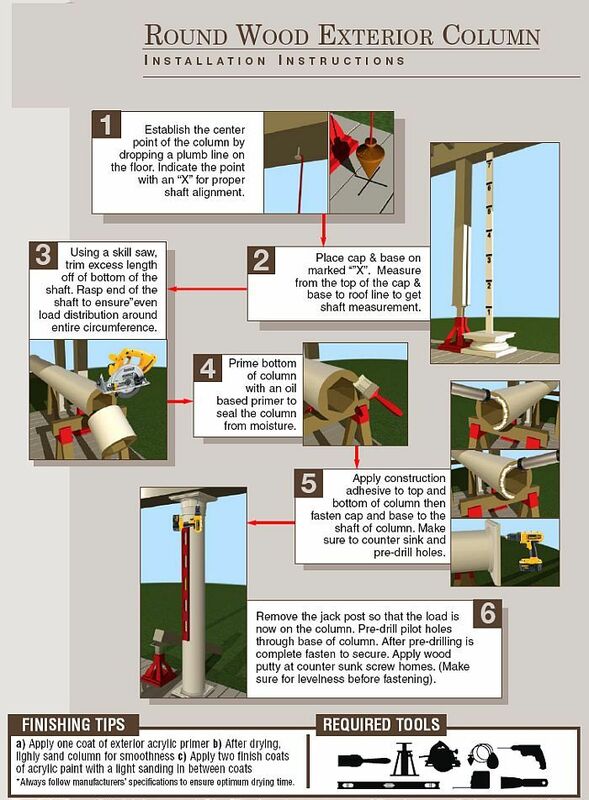 As a standard, the column comes "Full Round" – with no splitting. The shaft and capital and base (round torus and square plinth) will be full as shown. 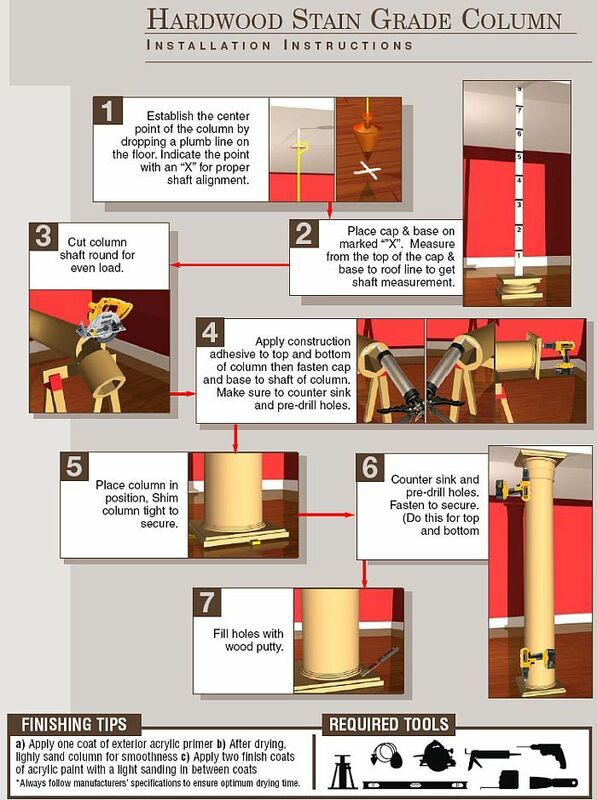 Split Round – Columns meant to wrap an existing post will be split round. The shaft and capital/base (round torus and square plinth) will be split alike (diagonal cut – corner to corner). The maximum inside diameter is 5 1/8”. 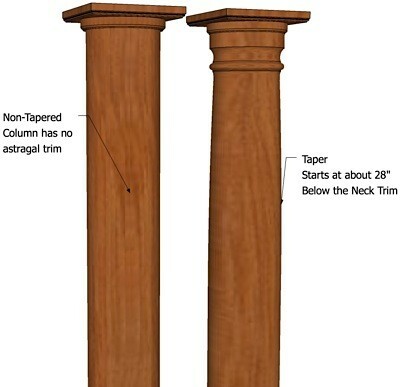 Half Round – Columns meant to act as pilasters will need to be split half round. The shaft and capital/base (round torus and square plinth) will be split alike (horizontal cut – side to side). 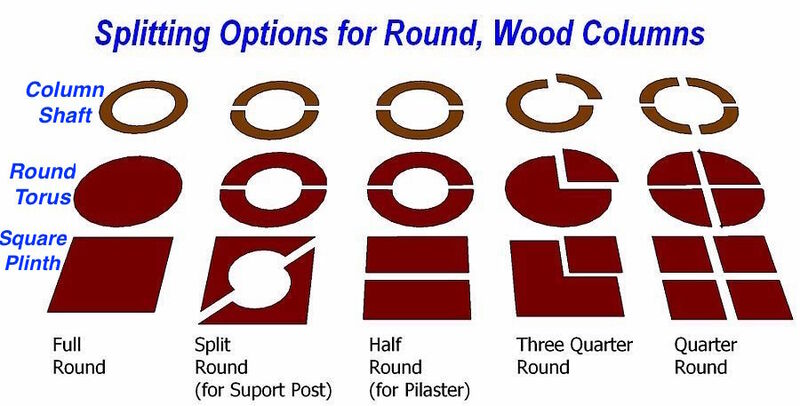 Three Quarter Round – Columns applied to an outside corner of a wall will need to be split three quarter round (a quarter of the column will be cut off but still supplied). The shaft and capital/base (torus and plinth) will be split alike. 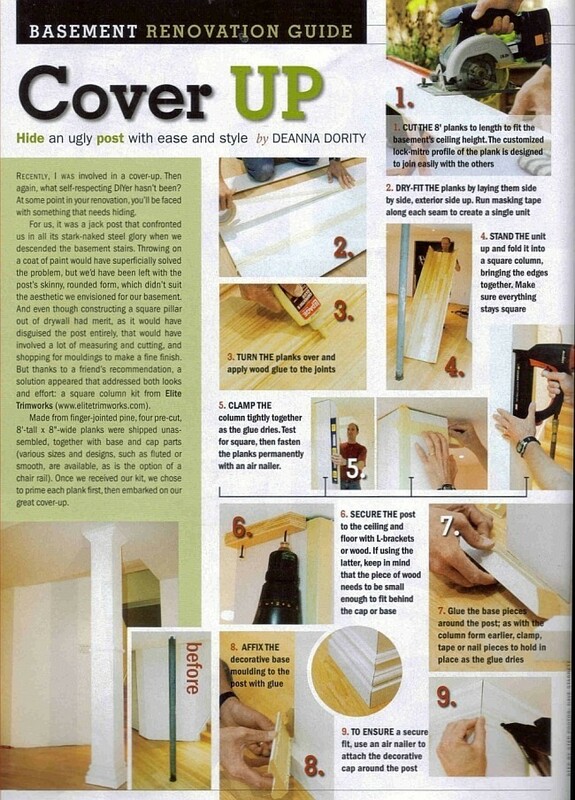 Quarter Round – Columns applied to an inside corner of a wall will need to be split quarter round (the column will be cut into 4 equal sections). The shaft and capital/base (torus and plinth) will be split alike. 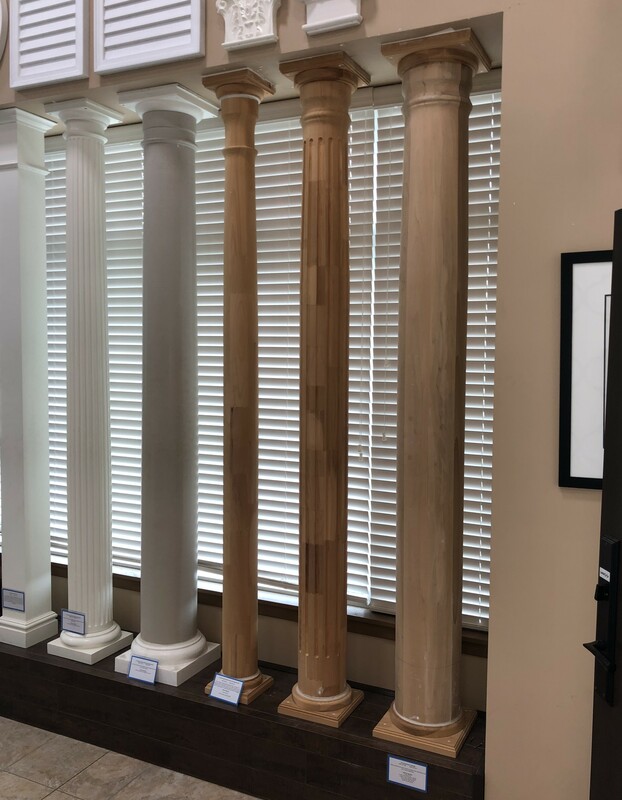 For an additional fee, this column can be fluted as well. If being split, we do not cut into the flutes. As a standard, the flutes start 3" below the neck (astragal) and end 7 1/2" from the bottom of the shaft. You may have the flutes customized at any length at extra cost, contact us for pricing.  Please note that there are no returns on custom made/fluted items. 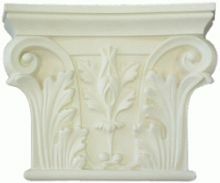 For columns up to 6 feet, $49 each, up to 8 feet $69 each, call for quote on columns over 8ft.